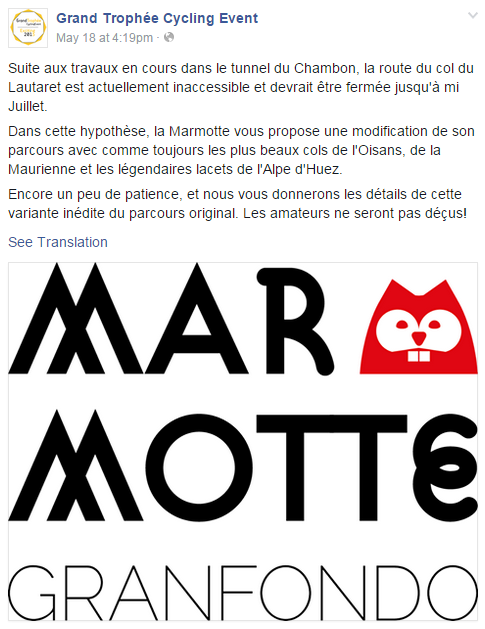 I just found out (thanks, Pierre) that La Marmotte, one of my main objectives for the season, is going to be sliced and diced into a different-looking event. According to the FB page of Grand Trophée, work that is being done on the Bourg d’Oisans-Lautaret road isn’t going to be done in time for the July 4th race. If this is the ‘tunnel du Chambon’, then it’s pretty heart breaking. Look how close that sucker is to the last climb of the day, Alpe d’Huez. The organizers don’t say what the new route will look like, but it’s pretty evident that Galibier won’t be included anymore, since I don’t think there is any other way to get to Le Bourg-d’Oisans from Lautaret than the D1091. Comments on that FB post are flooding in and range from ‘disgusted’ to ‘philosophical’. It’d be a shame to do my first Marmotte on a non-traditional route, but thankfully I was looking at the event as a warm-up for Haute Route this year. So as long as there’s 5000 meters of climbing everything but my legs will be happy. 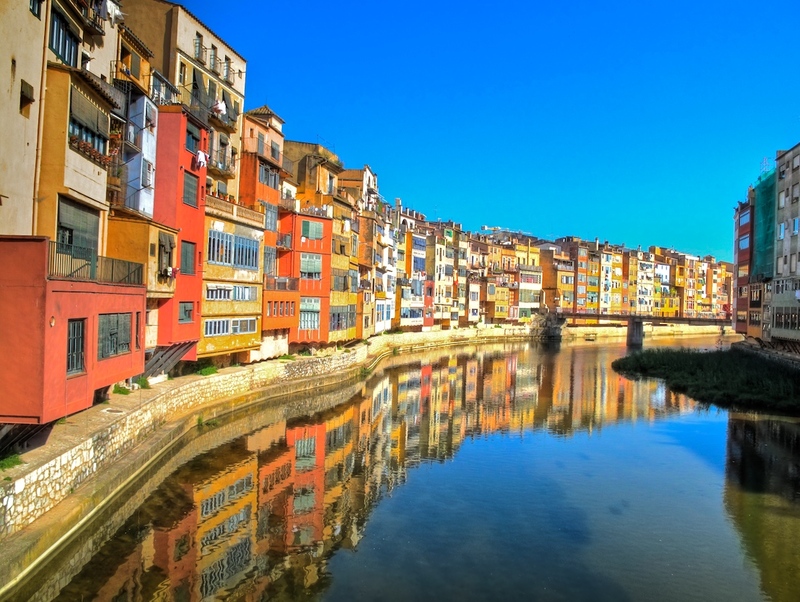 In other news, a few of us went down to Girona last week for a little training camp. Can’t recommend this place enough. 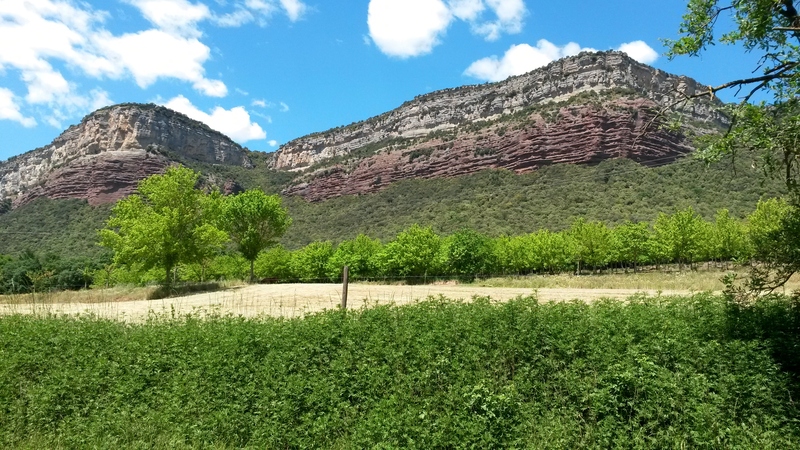 Beautiful, varied routes in all directions, with lots of climbing possibilities and the potential of seeing a pro or two while you’re there (I’m sure that was Dan Martin…). 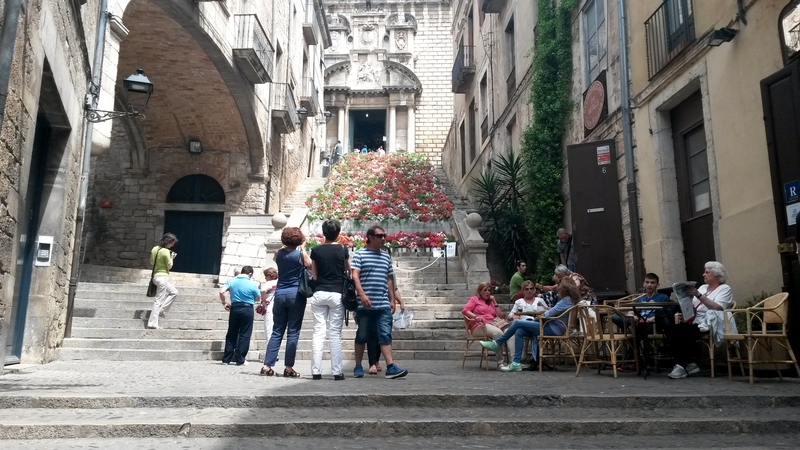 Girona was having a flower festival. Nice, but hard to ride through the crowds. We did a lot of hydrating. A lovely, lonely ride through the back of beyond, on our ‘queen stage’. 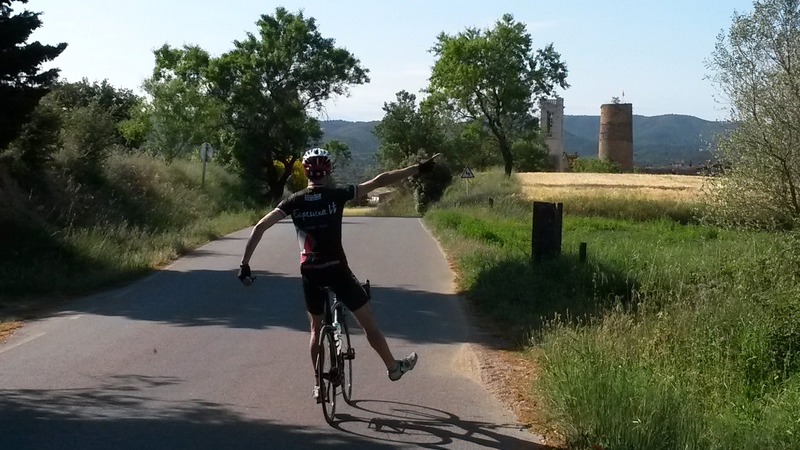 Unlike where we live, there is some seriously nice coastal riding near Girona. 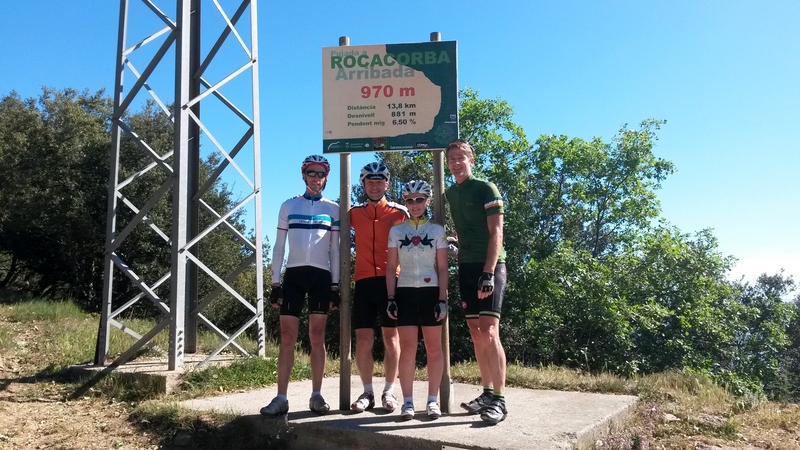 On top of Rocacorba, the most famous climb I’d never heard of. If you want to explode your heart for any reason, this is your hill. Yes it is the tunnel near Chambon lake. It’s quite long (around 700 m I think) and they went to do some overnight works only to find a lot of debris from the ceiling on the floor. The crack was some 60 m long. Sounds like quite major earth movement. I think this may also affect the Tour. This is bad timing of course for Le Bourg d’Oisans but more so for La Grave which is on the ‘wrong’ side of it. Major road diversions to get into Italy and the French have released funds for repairs and also help local residents by the sound of it. The silver lining is that the roads are much quieter at the moment. https://bikelodging.wordpress.com/2015/05/13/closures-to-the-tunnel-du-chambon-bourg-doisans-briancon/ The local schoolchildren have to stay in Bourg d’Oisans then catch a boat to be ferried back to La Grave. Jules, thanks for that. Great extra information there. I’ve been through that tunnel a couple of times on the bike. I hope when they fix it they chuck up a few more light bulbs, too. Looks glorious, and what will be, will be. Lucky enough to cycle Galibier & Alpes d’Huez (twice) during the 100th Tour though. 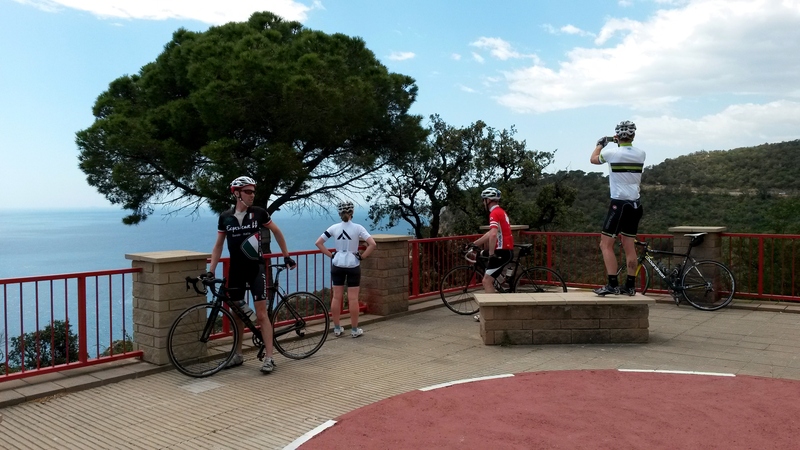 They are both great climbs and I’m glad I’ve done them myself. A bota – would that be a first for the Tour?? 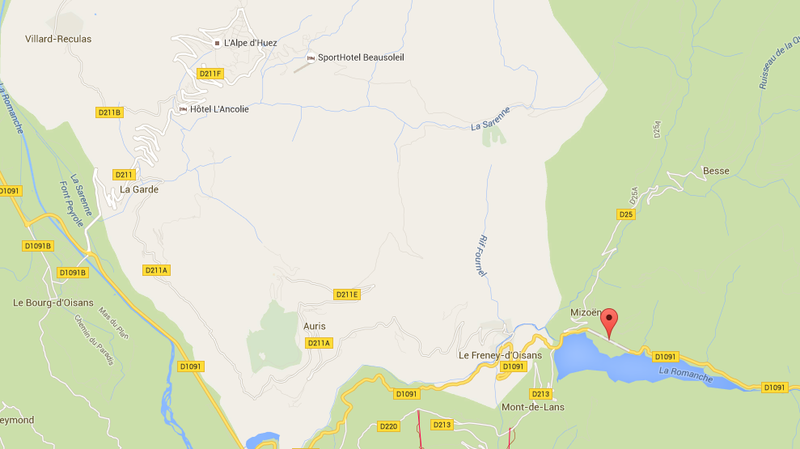 Easy to hit if you plan another Pyrenean trip, Suze. Well worth the detour. Beautiful post man… 5,000 METERS!? LOL! I’m lucky if we can get 5,000 feet in 200 miles. The Marmotte is a monster of a race/event. No question. What a great place to train. I like the look of southern Scotland, too.